Darker hues such as black and gray make a roof blend with any siding and window color combination. That said, if dark colors don’t work well with your existing exteriors, red shades are a great substitute. Homeowners typically choose this roof color if their house is more traditional than modern. Since you’ve got a color choice in mind, it’s time to see if it is aligned with your overall house architecture, including all exterior components like gutter guards. One great tip is to use a virtual roof visualizer online; there are plenty of sites offering this special feature. Alternatively, you can request a look book from your roofer to get a better grasp at how your new roof would turn out. For example, it’s not a good idea to use dimensional shingles for homes with a modern exterior. It works best for houses with a traditional or contemporary exterior. As one of the leading roof and gutter companies, we help our customers harmonize their roof color, architecture and shingle design. Our experts are highly approachable and ready to help you out with any roofing inquiries you have in mind. 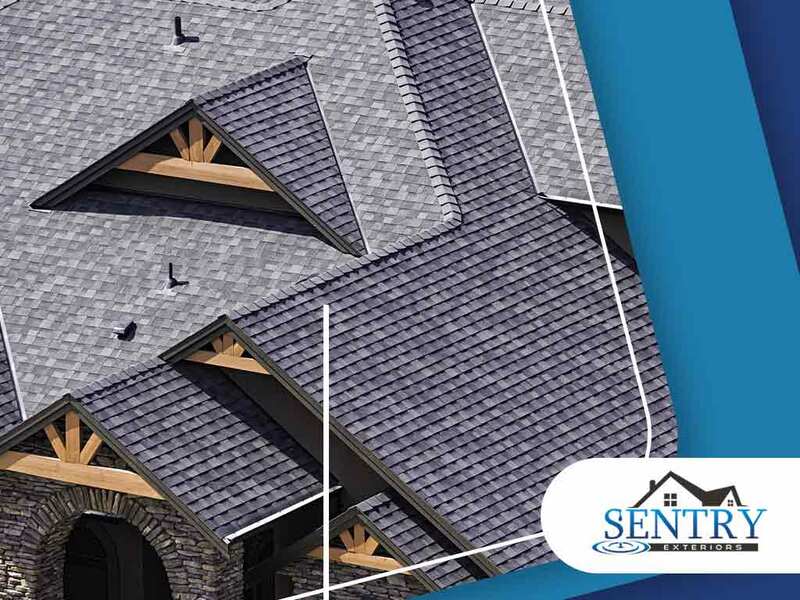 Sentry Exteriors offers homeowners quality roofing products and services. We’re the roofing partner you can count on for your repairs, replacement and other roofing needs. Call us today at (434) 333-7753 or fill out our contact form to request a free project estimate. We serve homeowners in Roanoke, VA and other nearby areas.